Pool openings / packages are here! 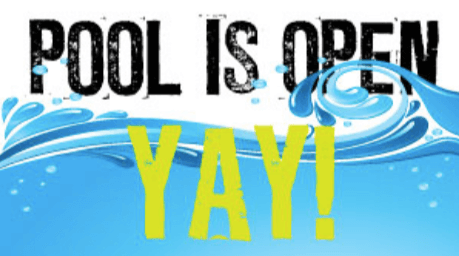 If you haven’t gotten an e-mail from us on pool openings / packages and closings,, please feel free to check our website at www.bistatepool.com and look under the service tab for various options. We have always included 30 minutes of vacuuming in our basic pool openings, but we have added a new option this year to our basic pool opening, which is a follow-up cleaning to again, not only clean the pool, but to check and add chemicals and to clean filters. This follow-up cleaning is performed within 3 – 6 days after the initial visit and is called the “deluxe opening”. All of our package cleanings also include the deluxe opening as well. As I teach a class every year the term “pool opening” can have so many meanings… chemicals are included / not included, vacuuming is included / not included, removing cover is included / not included, etc. Out of a room of 60 pool professionals, there are literally 60 different definitions as to what is included in an “opening” (or a package, closing, etc). For that reason, we suggest to others that they spell out what it is that they do and include it on their website so that there is no confusion with the customer. As 2016 rounds the corner, we want to thank all of our great customers. Many customers end up being great friends and we are always eager to please you with your pool questions and concerns. Happy swimming this year and feel free and call our office at 636-379-3000 if you have questions on any of our services or else call us at 888-766-5701 (easy way to remember is 888-POOLS-01). We can also be e-mailed at info@bistatepool.com. We have had a busy renovation schedule and construction schedule because of the relatively warm summer. If you are in need of services, please contact us soon!